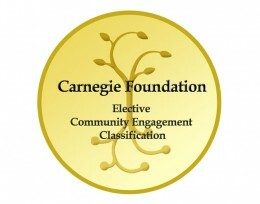 Wright State received the 2015 Community Engagement Classification from the Carnegie Foundation for the Advancement of Teaching. A low-cost X-ray machine and incubator developed by Wright State engineering students and faculty is one example of the many ways the university serves the community. “This designation is recognition of the exemplary ways in which faculty, students and staff achieve a critical part of the mission of a modern public university — to transform the communities that we serve,” said Kimberly Barrett, vice president for multicultural affairs and community engagement. “In addition to being a testament to what we have already done, it illustrates our commitment to sustaining and expanding mutually beneficial partnerships that enhance the academic enterprise while addressing the most pressing problems and opportunities in our communities,” she added. Colleges and universities with an institutional focus on community engagement were invited to apply for the classification. A team of Wright State faculty, staff and students, led by Barrett, documented the collaboration between the university and local, regional, national and global communities. A total of 8,217 Wright State students were involved in community service and academic service-learning during the 2012–2013 school year, resulting in 604,979 service hours. More than 100 service-learning courses or sections are offered annually. Many more courses offer community engagement components. Annual Regional Summits are held at the Dayton and Lake Campuses to discover how the university can better serve its communities. The Staff Advisory Council’s We Serve U initiative encourages Wright State staff to engage in significant community service. We Serve U organizes school supply drives, volunteer fair and other activities. Clinical Engineering in the Developing World is a course that engages students in service-learning research. 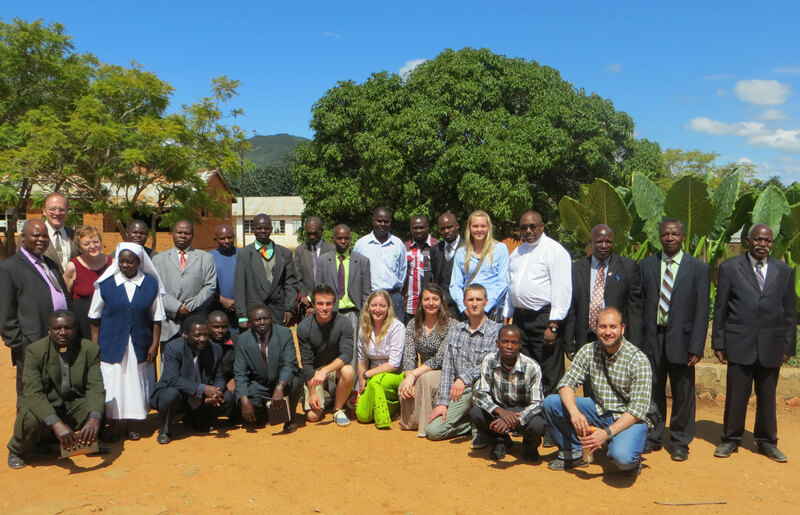 Students helped develop a low-cost digital X-ray imaging device that was taken to a small rural clinic in Malawi. A community-centered service-learning requirement for Boonshoft School of Medicine students has been in place since 2008. School of Professional Psychology students regularly provide more than 45,000 hours of clinical services to mostly underserved populations in the greater Dayton, Cincinnati and Columbus metropolitan areas. Tanzania: Global Health and Service Learning is a course jointly administered by Wright State’s College of Nursing and Health and the School of Nursing at the Muhimbili University of Health and Allied Science. Students visit health clinics in surrounding villages where they learn firsthand about different perspectives of individual, family and community life and health care. Wright STEPP enhances the development of at-risk youth in grades seven through 10 underrepresented in the science, technology, engineering and math disciplines to improve their preparation for post-secondary education. The Ohio Small Business Development Center offers comprehensive business management and education services. 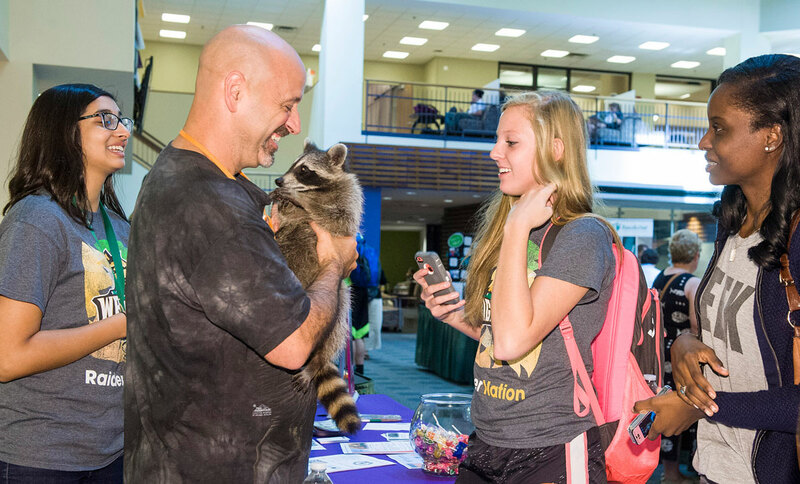 Wright State’s We Serve U organizes an annual volunteer fair for staff, students and faculty with more than 30 nonprofit organizations represented. He added that engaging with communities will be a critical mission for all universities in the 21st century. In previous national recognition, Wright State was named to the President’s Higher Education Community Service Honor Roll the past five years and was named to The Washington Monthly’s top 10 list of universities for community service. “These are campuses that are improving teaching and learning, producing research that makes a difference in communities, and revitalizing their civic and academic missions,” said John Saltmarsh, director of the New England Resource Center for Higher Education (NERCHE). A listing of the institutions that hold the Community Engagement Classification is available on NERCHE’s website. 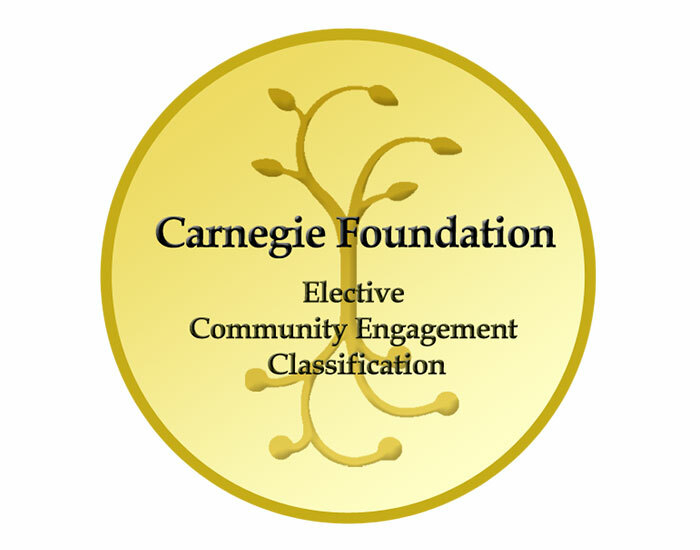 The Carnegie Foundation for the Advancement of Teaching is committed to developing networks of ideas, individuals and institutions to advance teaching and learning. The foundation brings together scholars, practitioners and designers in new ways to solve problems of educational practice. Wright State is engaged in a $150 million fundraising campaign that promises to further elevate the school’s prominence by expanding scholarships, attracting more top-flight faculty and supporting construction of state-of-the-art facilities. Led by Academy Award-winning actor Tom Hanks and Amanda Wright Lane, great grandniece of university namesakes Wilbur and Orville Wright, the campaign has raised more than $108 million so far.